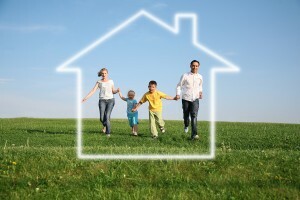 A whole house air purifier from RainSoft can significantly improve the quality of your home’s air. Our system will freshen the air throughout your entire residence, eliminating unwanted odors from pets, cooking, and other household sources. What’s more, RainSoft air purifiers also destroy nearly all airborne bacteria, mold, viruses, and fungi spores, helping you and your loved ones breathe easier. To accomplish this, our AirMaster Ultra whole-house system uses a multi-step process to provide your home with cleaner air. First, air is passed through a UV air purifier light zone. This Ultraviolet light technology sterilizes and kills most airborne molds, bacteria, and fungi spores immediately. From there, air passes by an oxidizer lamp that serves to neutralize airborne odors. As an added benefit, the AirMaster Ultra is mounted directly into your home’s ductwork and functions completely silently, so you won’t even notice as it purifies the air throughout your entire home. Since 1953, RainSoft has also been a provider of premium water filtration and purification products, including whole house water filters, water conditioners, and drinking water systems. No matter whether you take advantage of our air filtration systems, home water treatment solutions, or both, every RainSoft product is protected by a Limited Lifetime Warranty, which is unmatched in the industry. Due to this outstanding guarantee, we are confident that our products are the last of their kind that you will ever need to buy. For additional information about our whole house air purifier systems or our other state-of-the-art products, please contact RainSoft today.